Just when you think - its all been seen... then this appears. 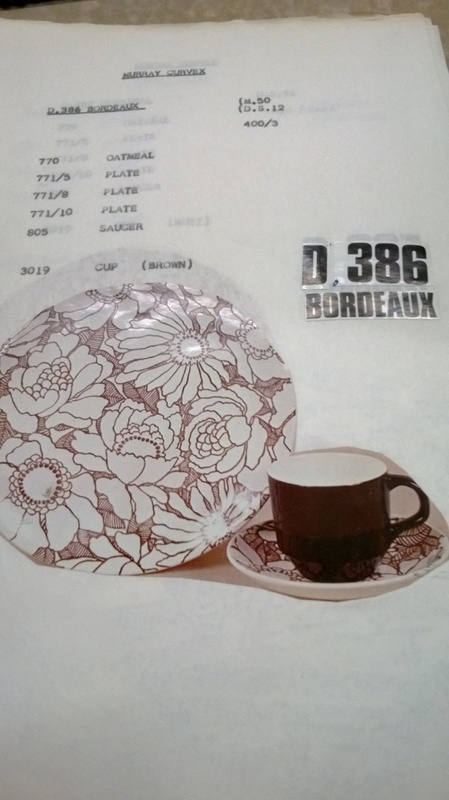 Beautiful " Bordeaux D336" - its on my want list, I have never seen it before, only at the musuem. Its the same pattern as safari but on a white glaze. I wonder how much he actually wants for it and how much would it cost for postage? I just realised the auction is for Tulip Cups but the museum pic is not, is that odd? I don't think so as from what I have read, price list etc gave the option of either cup as they both sit on an 805 saucer. 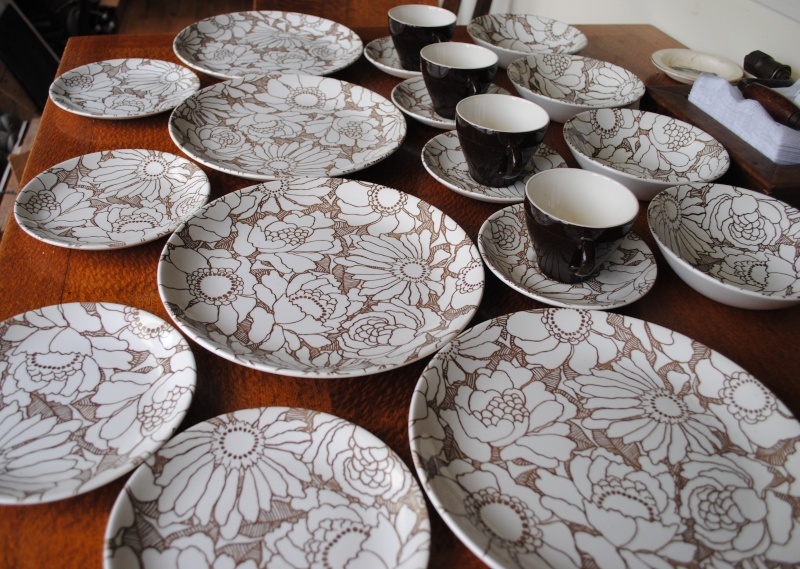 I mentioned that in the first post Kat and no I don't find that odd as I've seen different shaped cups turn up for other patterns. Ta that makes sense now Ive switched on my brain! 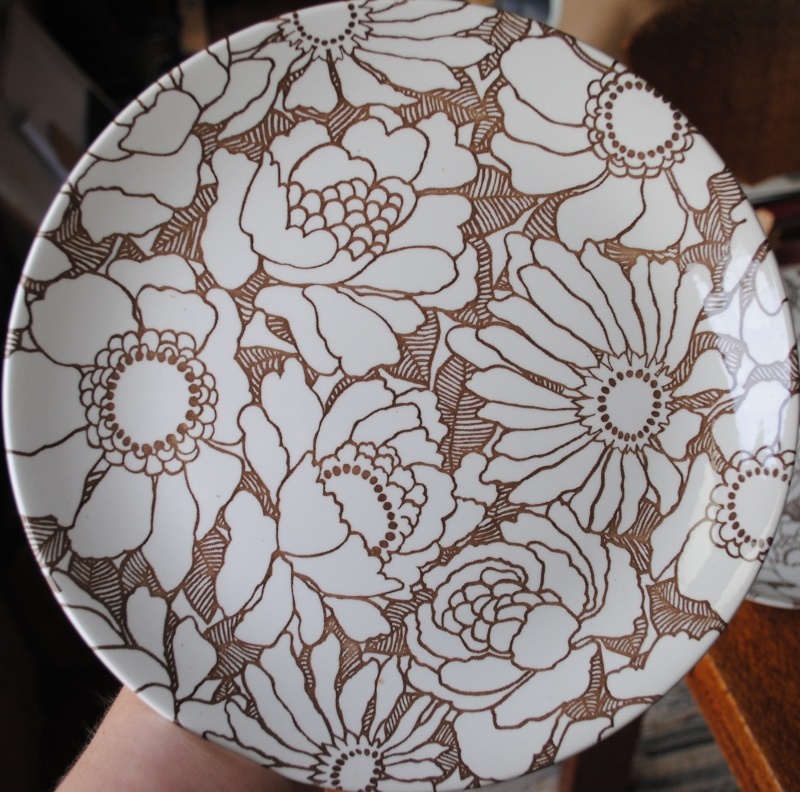 Its the safari Brown pattern on white glaze and the colour is brown ( how I wish it was plum/maroon ) when I first saw this pattern at the musuem the photo looked that way but the description was brown Still very stunning even though its brown. Orange would be even better!